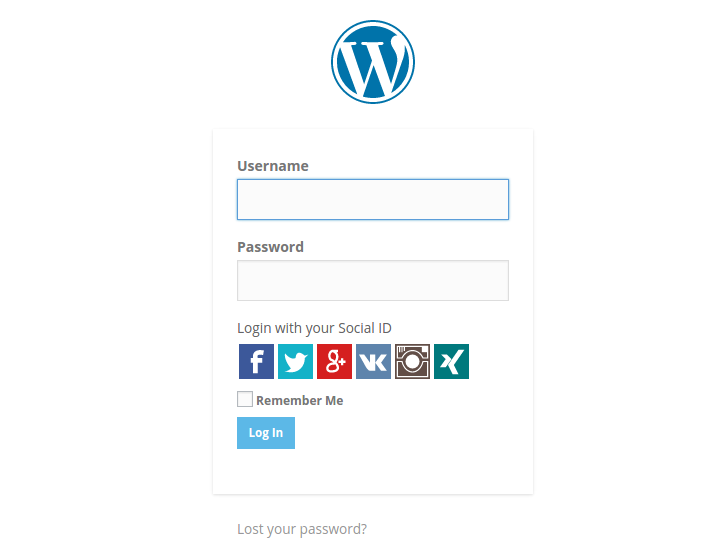 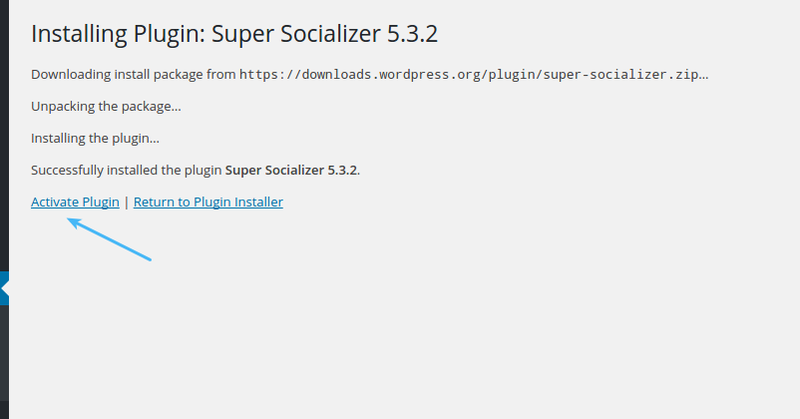 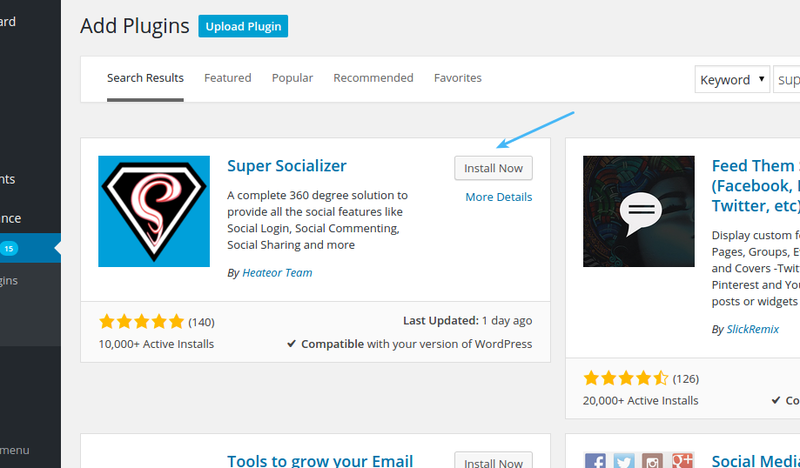 Navigate to Super Socializer > Social Login page from left sidebar. 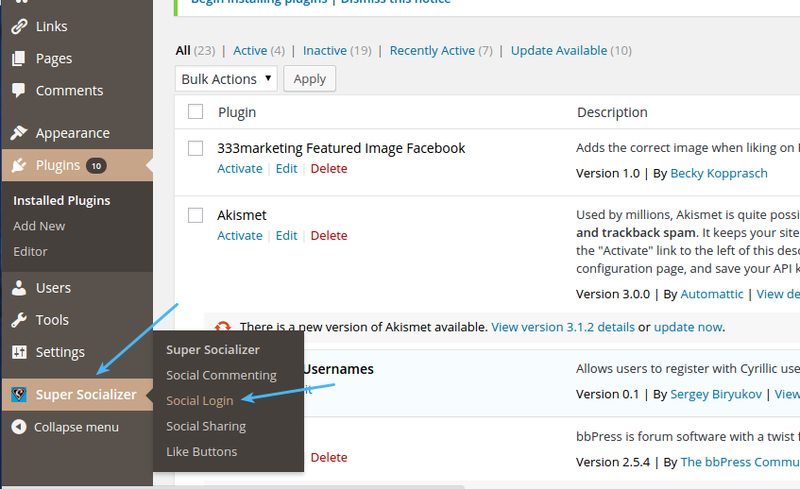 You can enable desired Social Media networks from Basic Configuration section. 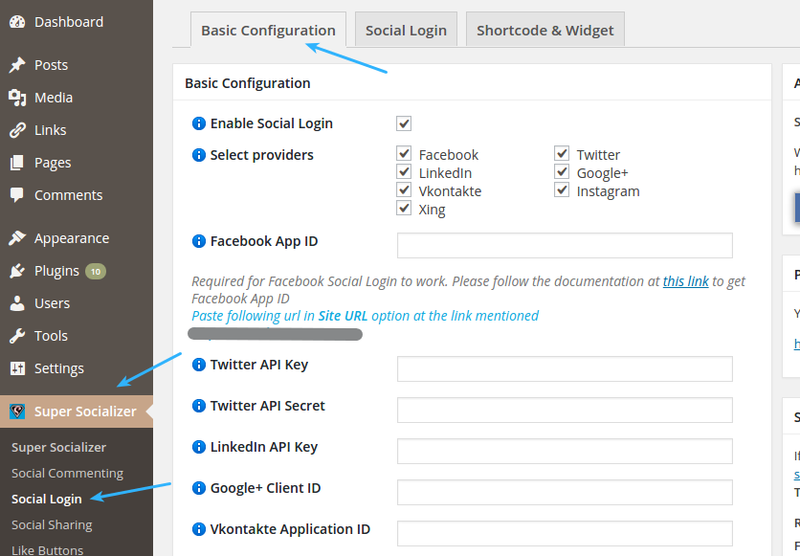 For the selected social media icons to work, you need to save API Key/App ID of that particular network, steps for the same can be found by clicking the info icon in front of that option (As shown for Facebook App ID in the screenshot below). 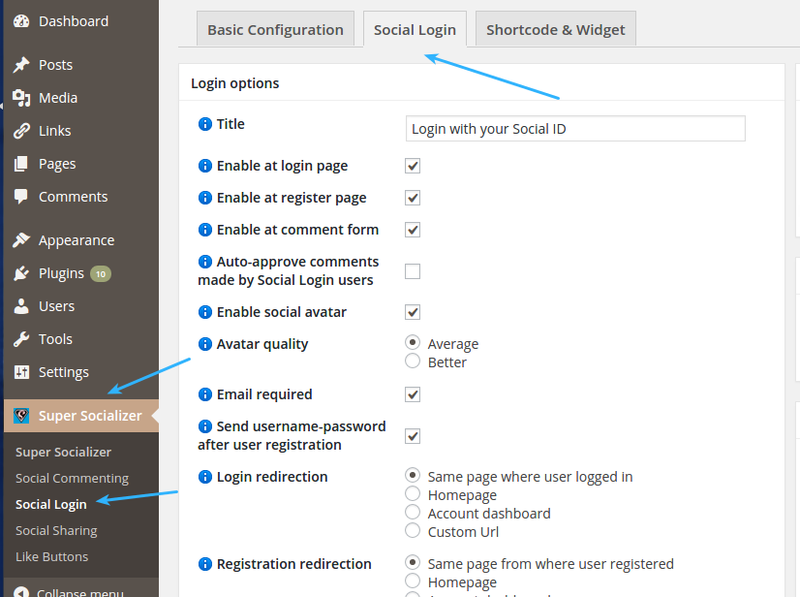 Optionally, you can tweak other related settings in Social Login section, like – placement of Social Login bar, social profile avatar, login/registration redirection etc.